As part of Disney’s Force Friday II – aka the launch of new Star Wars products and merchandise – Lenovo has unveiled a new augmented reality (AR) experience that is intended to make you feel like a Jedi wielding a lightsaber, taking on villains such as Kylo Ren or commanding armies against the Empire. And oh, there’s also Holochess. Appropriately dubbed Star Wars: Jedi Challenges, you’ll need a Lenovo Mirage AR headset – along with a compatible Android or iPhone – which comes with a Tracking Beacon, and a Lightsaber controller. It’s already up for pre-order in selected regions at $199.99 (about Rs. 12,800), and will be available beginning in November. We’ve reached out to Lenovo India on comment on whether these products will be available in India, and will update if we hear back. At the time of writing, a spokesperson said Lenovo India had yet to receive a timeline of any sorts. You’ll also need the Star Wars: Jedi Challenges app on your phone to experience it. Lenovo says the Lightsaber controller has been “modelled after the one wielded by Anakin Skywalker, Luke Skywalker and Rey”, which is certainly enough to get the hearts racing of any Star Wars fan. Lenovo and Disney have also created a new character – called the Archivist – who will help introduce you to the Jedi Challenges, and teach “the ways of the Force and the knowledge of the Jedi”. Where’s Yoda? That’s not the only AR experience headed your way. 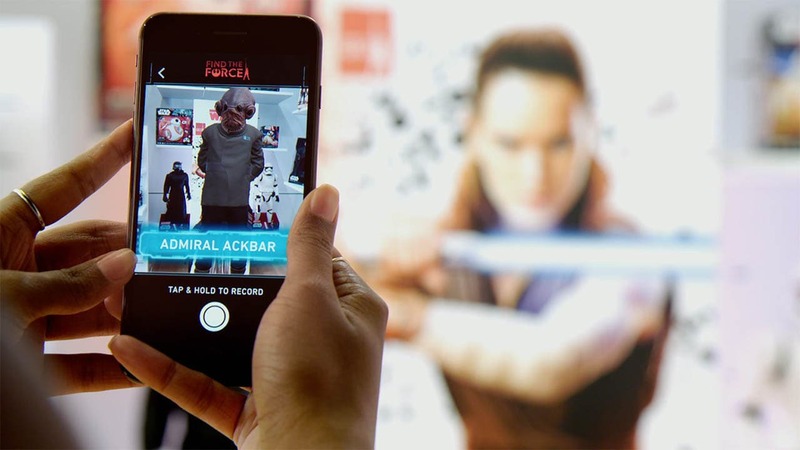 Disney and Lucasfilm are also unveiling Find the Force, a new AR treasure hunt part of the official Star Wars app, which unfolds over the weekend at over 20,000 retail locations in 30 countries. And at 20 special locations around the globe, you can also unlock a Star Wars surprise. All you need to do is download the app’s latest v2.3 on your phone, and then visit one of those 20,000 locations, where you scan a graphic to reveal a character from Star Wars: The Last Jedi. A total of 15 new characters can be revealed from Friday, September to Sunday, September 3.